CLASS 50 No. 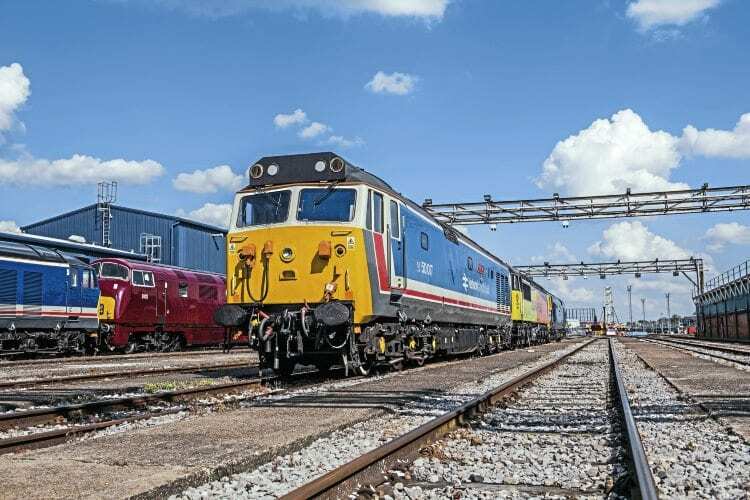 50017 Royal Oak has been acquired by the Great Central Railway (GCR) from Boden Rail, Eastcroft, Nottingham. This followed a few days when the loco’s future was in doubt, with various means of disposal being considered, including dismantling for spares. A sale fell through in late-January, and as funds and space were required urgently drastic action was called for. The GCR secured the loco on February 1, minus its main line safety equipment, which has been removed as this is not required. Transport to Loughborough was arranged for later in the month. No. 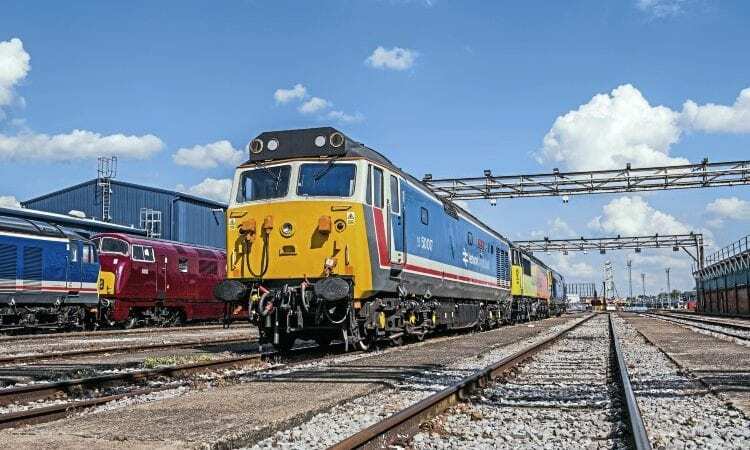 50017 will see regular use, possibly appearing at the GCR’s April 13-14 diesel gala, with visiting Class 14 No. D9537.